Getting ready for those doors to open! A lot of eager golfers ready to kick off the season with a FREE round of golf, courtesy of GolfVisions! It’s never too early to share the love of golf with a new generation! 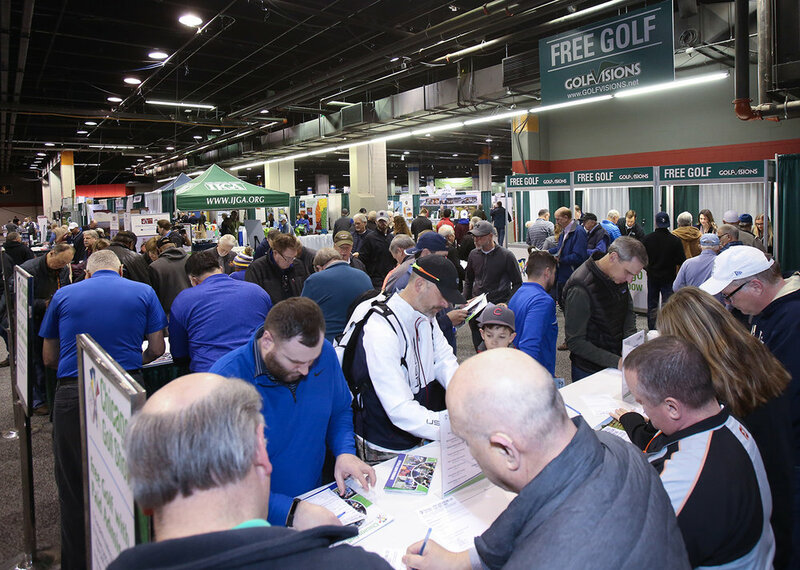 Golfers looking to improve their putting skills knew to visit the PUTTIST booth. This innovative digital, portable and rechargeable putting aid allows you to practice anywhere, indoors or out, in your office, on the road or in your living room. French Lick Resort, our 2019 presenting sponsor, gave away a GOLF FOURSOME WEEKEND to one luck attendee! Golfers looking for a practice putting green! Every year, the Illinois PGA provides fun activities for young golfers to test their skills! There were some fun giveaways up for grabs this year!